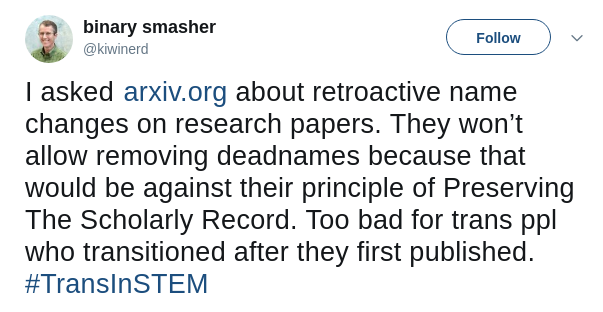 also, an unpopular opinion in certain proprietary circles: publication != preservation. that is, casting everything in cement doesn&apos;t necessarily help you anyway. so be amenable and empathetic. particularly about name changes.